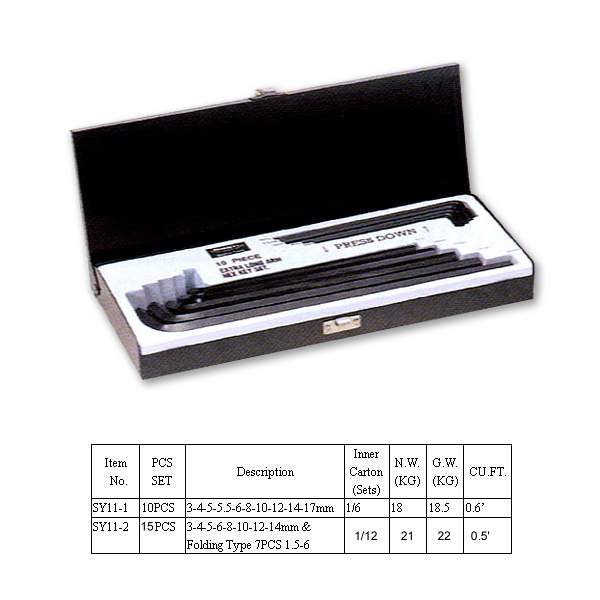 Taiwan SY11-1 ~ 2 Extra Long Hex Key Set (Colour Box), Bike Tools, Tools - Sheng Yi Enterprise Co., Ltd.
1. Hex key wrenches exceed the requirements of JIS, DIN and Fender standards, especially in the categories of material, hardness, torque and tolerance, ensuring high quality and performance for professional use. 4. Chrome plated or black finishes.